The blog world is a major web of design inspiration and I could spend hours/days/weeks finding amazing images and new designers I've never seen before. 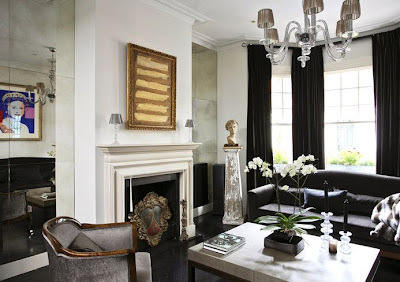 I love the use of white, gray and black here. I've wanted to get some black/dark gray curtains but was not sure I could pull it off- I love them in this pic. 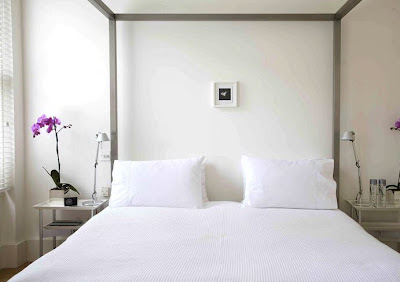 The tiny framed art over the bed is quite the change from the usual mirror, large piece of art, or a gallery wall. 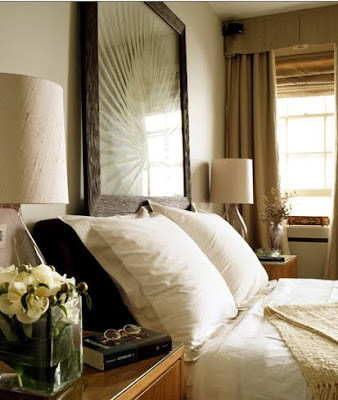 I love it paired with the simple white bed- just perfect together. I wish I had space for an area like this in my place. 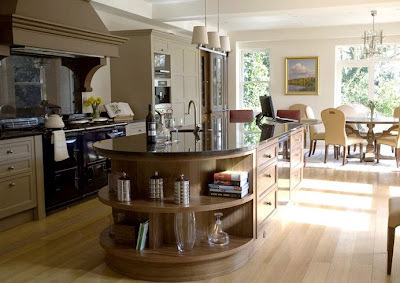 It can be used to curl up and read, as a dining table, or even as an office- what a versatile space. 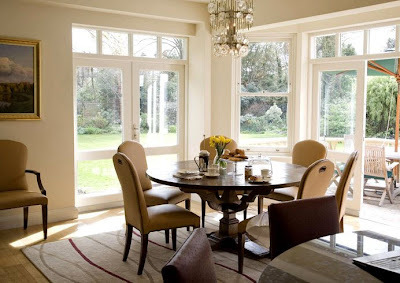 This corner of windows opens up right onto a porch, what a perfect spot for a summer dinner party. The cabinets here are my fav, I love the color of them- and all those windows, the sunlight in this space is amazing! 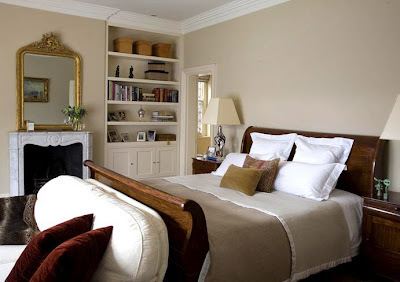 To me this bedroom has the perfect mix of masculine and feminine. I think the BF and I could move right into this room and there would be no arguments. 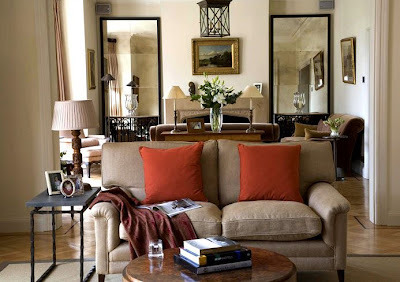 Even with high ceilings the two matching mirrors on either side of the fireplace open the space up that much more. 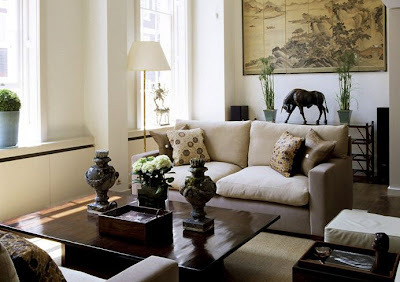 I also like the two separate seating areas and the open feeling here. 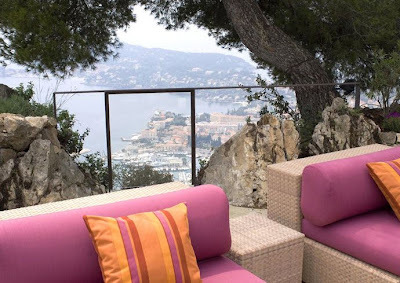 The last two here are my favorite for obvious reasons- I LOVE the pink and orange and I would love to be sitting here right now with a cocktail in hand-what a beautiful view! oh wow lindsay!!! so amazing. defintely LOVE his style too!! I could definitely spend the day sitting at that pool - with a few cocktails, of course! So lovely and I'm with you on those last two images! I love pink and orange, too - two fantastic colors that work so well together. The pool area is stunning. What I wouldn't do for a view like that! yep, I think I am in love. Why don't I live in that last house? Linds! Wow great work. I love that library/dining nook area. I would love that in my home. I don't think I would ever leave. Filing it away for my dream home. How did it go in CT? Did you get your trip to IKEA? Beautiful place! What amazing design! Great post Lindsay!